Washing your face with a gentle cleanser is how any great skincare routine starts, but what about the technique known as “double cleansing?" Is it necessary or a waste of time and money? While it can be helpful in some situations, double cleansing is not necessary for everyone. It depends primarily on your skin type and the type of makeup you wear. We’ll help you decide if double cleansing is right for you! Simply put, double cleansing (a technique that became popular in Japan and South Korea before catching on in Europe and North America) involves using two different types of cleansers, one right after the other. There’s no set guideline for which types of cleansers are best for double cleansing; the most common practice is to wash your face with a pure oil, oil-based liquid cleanser, cleansing balm or cleansing cloth and then follow with a regular, water-soluble cream, gel, or lotion cleanser that’s suitable for your skin type. You then move on to the rest of your skincare routine. Why an oil-based cleanser or pure oil? Oils, whether a mineral oil or plant oil, are adept at dissolving all types of makeup and can also help remove tenacious sunscreen formulas. The oils work differently (some would say more thoroughly) from the surfactants found in regular facial cleansers. 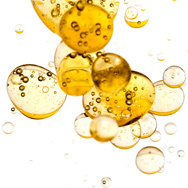 Modern cleansing oils have an edge over pure oils because they contain a type of ingredient known as an emulsifier. This allows the oil to mix with water and form a milky emulsion, making it easy to rinse from skin instead of leaving a greasy residue as pure oils can. The concept behind double cleansing is to use a cleansing oil or similar product to first remove your makeup and sunscreen. This preliminary step is supposed to clear the way for your regular cleanser to cleanse your skin instead of having to work its way through layers of makeup and sunscreen. The result: a more thorough cleanse. That sounds logical, but today’s best cleansers are formulated to easily break through and wash away makeup, sunscreen, dirt, pollutants, and other surface debris. You can enhance the results of any cleanser by using a soft washcloth with it or a cleansing brush outfitted with the softest brush head available. Another option: Wash twice with the same cleanser instead of with two separate products. Double cleansing isn’t a must-do for most people; however, it can be worth it under certain circumstances. For example, if you wear heavy or transfer-resistant makeup and a mineral-based sunscreen (those with active ingredients titanium dioxide and/or zinc oxide), double cleansing ensures you remove both the makeup and the sunscreen, which means the leave-on skincare products that follow can better work their magic. Double cleansing can also help if you have very oily skin and are finding that your regular cleanser isn’t removing enough excess oil but that a stronger single cleanser leaves your oily skin feeling tight and dry. It’s far better to use two gentle cleansers than one harsh, drying cleanser! If you decide a double cleanse is right for you, you'll probably find that it’s mostly beneficial at night when you have makeup and sunscreen to remove. In the morning, you can wash your face with just your regular cleanser. 1. Dispense your fragrance-free cleansing oil or balm into the palm of one hand and use the fingers on your opposite hand to apply it to wet or dry skin, massaging in gentle circular motions, including around the eyes, for 30–45 seconds. You do not need to use a separate eye-makeup remover if the cleansing oil is fragrance free (fragrance is especially problematic when applied around the eyes). If using a cleansing cloth for the first step, select a gentle yet effective option that's fragrance free. Lightly wipe away makeup, including eye area makeup, with the cloth (taking care not to tug skin), using both sides if necessary. 2. Rinse or gently remove the cleanser with a soft, wet washcloth. 3. Next, dispense a nickel- to quarter-size amount of your regular facial cleanser and apply it to damp skin, massaging in gentle circular motions. 4. Rinse the second cleanser and pat your skin dry with a clean, soft towel.